While most people’s thoughts are currently focused on Christmas and the New Year, now is also the perfect time to start thinking about your holiday plans for the year ahead! 2019 will be here before you know it, and after the festivities of the Christmas period have ended, you will want something else to look forward to, right? No matter when or where you choose to go, holidays present the perfect opportunity to sit back, relax and take some time out of your busy schedule. And with that in mind, there is nothing more relaxing than a caravan holiday! 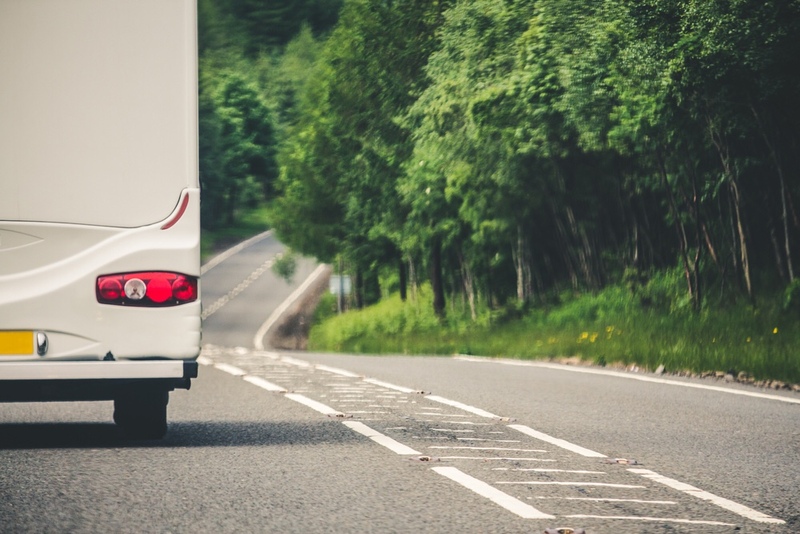 Here are some reasons why you should consider heading off on a caravan holiday for your 2019 getaway. Dispense with strict schedules and timings for a little while and instead, allow yourself the freedom to do what you want, when you want with a caravan holiday. Take the trip at your own pace – go to bed and get up when you want, eat when you’re hungry, and go wherever the mood takes you. This freedom and flexibility is truly unique and is something to be treasured, as you’ll bound to feel relaxed and carefree in next to no time at all! Caravan holidays are ideal for spending quality time with your loved ones and reconnecting with family members. Where possible, encourage everyone to leave the technology and gadgets at home and instead, make the most of the time that you have together as a family. Head out from your caravan base and explore the countryside, sights and attractions close to where you are staying, before heading back for more fun and games – whether it is board games or outdoor activities, a caravan holiday is ideal for maximising family time. There are plenty of wonderful places to stay and visit in the UK on a caravan holiday, from sunny Cornwall to mountainous Snowdonia! However, just because caravan holidays are synonymous with the great British countryside, this doesn’t mean that you can’t go further afield. If you are hiring a touring caravan or are lucky enough to have one of your own, Ireland and France are just a short ferry trip away. Alternatively, static caravan holidays are available in many different parts of the world, giving you the opportunity to explore somewhere new from the comfort of a caravan home away from home. A good memory has the ability to stay with you forever, and what better memories could there be than fond reminiscences of family holidays spent having fun with the people you love the most? By providing your children with as many wonderful memories as possible, you know that they will always have a happy time to draw on when times are tough in the future. If you have never had a staycation or a holiday in the UK and usually tend to jet off to warmer climates, why not take the opportunity to try something new? A caravan holiday in the UK is traditional and nostalgic, yet is also a brilliant way to have an enjoyable, fun-filled budget getaway. The UK is packed full of amazing sights to see and places to visit, from Stonehenge to Loch Ness, so take the opportunity to explore what’s on offer here in the UK! Some people love the caravan life so much that they have made the decision to permanently move to residential caravan parks, but if you’re not yet convinced by a caravan holiday, you’ve still got plenty of time to make up your mind! Where will your 2019 travels take you? This is a guest sponsored post.